Spectacular 2-strand necklace with a potpouri of colors. Sterling Silver Handwrapped Rhodochrosite Pendant, Rhodochrosite chips, Malachite chips, Pink Conch Shell, Amber nuggets, Abalone slivers, Citrine, Sterling Silver Rice Beads. 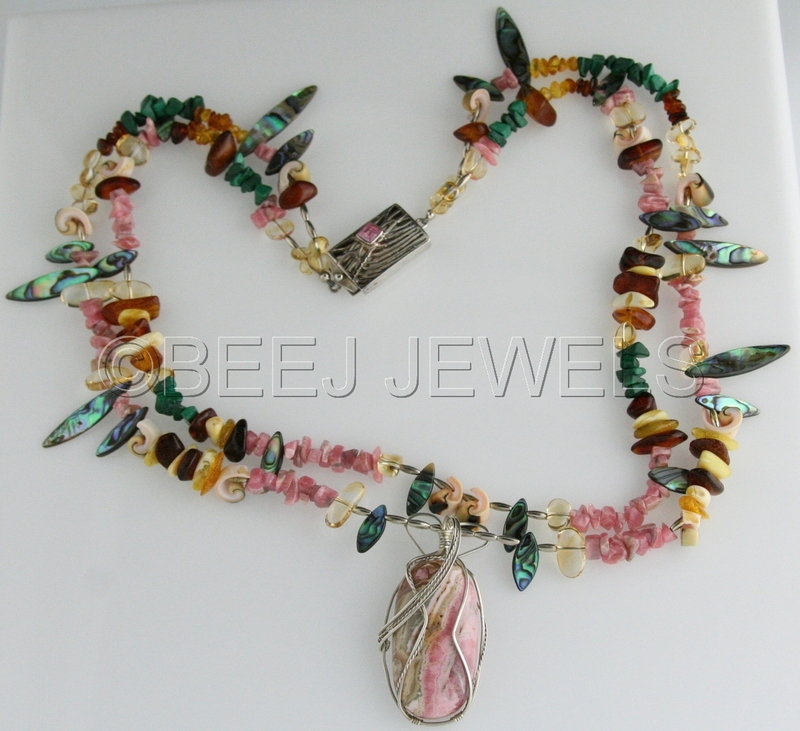 Overall length is 26" including a rectangluar Sterling Silver Slide Clasp with pink semi-precious stone complimenting the pink Rhodochrosite.